Services - Law Offices of Sheilah D. Vance, Esq. Wills, probate, estate administration, powers of attorney, living wills, and other estates and trusts matters. K-12, Higher Education, Title IX, Compliance, Risk Management, Investigations, Student Conduct, Hearings/Arbitrations, Student Academic Dismissals, Bullying, Policy, Government Relations, Special Education, and all other education law matters. Vance, who teaches Education Law at Villanova University School of Law, is also an Affiliated Consultant with the National Center for Higher Education Risk Management (NCHERM), the umbrella group for six linked organizations which serve to advance holistic, proactive prevention and risk management within K-12 schools and on higher education campuses, both as a law firm and a consulting practice for over 15 years. A former Title IX Coordinator, Vance is on the Advisory Board of the Association of Title IX Administrators (ATIXA). We will help you find an attorney who can handle your criminal law matters. For news and information on the latest legal issues, follow us on Twitter. As an author and publisher, Vance knows: copyright, trademark, book shepherding, manuscript review, permissions, licenses, contract review and negotiation, contract drafting, and litigation. 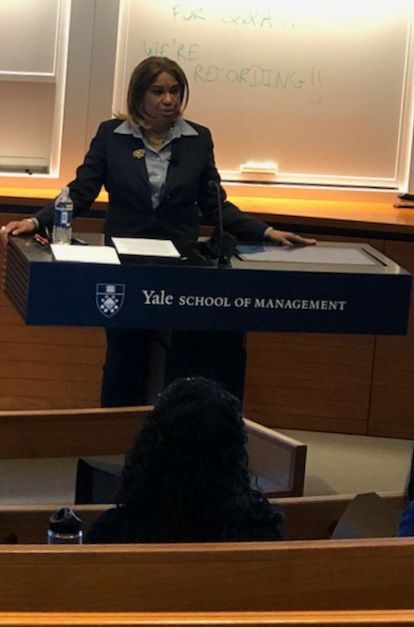 Vance speaking at Yale University School of Management, Women in Management, 3/2018 on applying the lessons of Title IX sexual harassment prevention and enforcement to the modern corporate environment. Click here for our article on "Lessons from Prince's Estate" and learn about the four essential estate planning documents. Employment Discrimination, Litigation, Corporate, Government Relations, Contract, Negotiations, Personal Injury, and all civil law matters.